There's a new Blog Hop coming and it's sure to be truly inspirational! 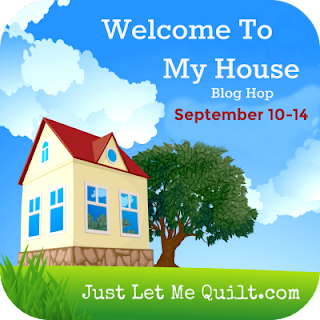 Carol from Just Let Me Quilt is hosting this Welcome to My House Blog Hop that begins Monday, September 10, 2018. All projects, whether they be quilts, table runners, or who-knows-what, will have a house theme. It's going to be so much fun! Just look at the line-up of talented bloggers! Be sure and stop by. You won't want to miss a thing!